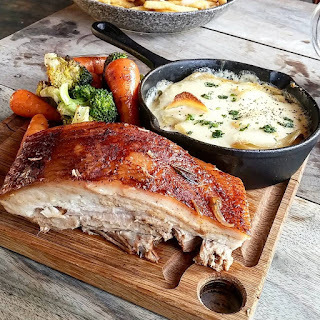 Malt + Pepper, who specialise in dishes cooked creatively in beer, have popped up at the All Inn One pub in Forest Hill, SE23, serving Monday to Saturday until Christmas 2017. The food is really great, and, being cooked in beer, perfectly fitted to pubs. Go and try it! ""Welcome to Malt + Pepper. We believe we're the UK's first truly beer led food concept. We launched in August 2017 with a residency at The Bear in Camberwell, and are now in situ at All Inn One, Forest Hill. We cook with beer, and we want to encourage you to do the same. We're cooking up our beer inspired, booze infused dishes at All Inn One until the end of 2017. We'll be in the kitchen Monday - Saturday and trying out new and experimental dishes every week. Don't miss this."